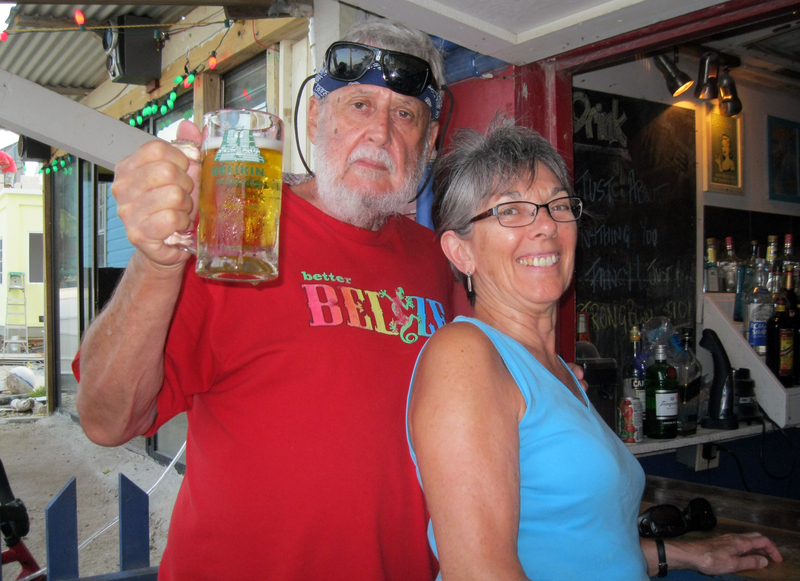 Welcome to my blog on Belize, Central America. I have been writing about my many years of travel (16) in Belize for a long time. Now I have gathered all my blogs together to form a travel-book. I will update and add to this travel- book from time to time. This will give you the chance to return to it for up- to date info. Or you can check it out to refresh your memory. Or to reread a blog you want to read again. To make blogs more accessible in a different way , my blog partner Shirley Howarth and I created Chez Belize, a virtual Café and Bar which exists somewhere in the stratosphere. Here you can order travel-foods off the take-out menu and dine on whatever appeals to your travel appetites. You can return whenever you want as you would to a good restaurant. Let me suggest that you begin by ordering appetizer s from the menu , items #’s 1-3, Thinking Adventure, Arriving in Belize, and the Weather in Belize as tasty morsels which will tempt you to come back and enjoy our blog again. If you are looking for something bolder, order #18 The Sting Ray Incident. It’s neither fish nor fowl and it may be hard to digest, but some say it’s an acquired taste and you may order it again from time to time. THINKING ADVENTURE? THINK BELIZE! – http://wp.me/p2orau-i Describes the chef’s reasons for opening the virtual cafe and bar Chez Belize which offers the adventurous traveller an option to the same old same vacation fare. ARRIVING IN BELIZE – http://wp.me/p2orau-s A tasty description of the countryside and the people you will see in Belize. THE WEATHER IN BELIZE – http://wp.me/p2orau-E Something to chew on – What to expect weather-wise when you visit Belize. BELIZE BY PLANE – http://wp.me/p2orau-Z – A tempting dish full of useful information on airlines, times, schedules, etc. BELIZE BY BUS – http://wp.me/p2orau-12 – A dish with lots of spicy info on how to get around Belize by bus. INLAND ADVENTURE IN SAN IGNACIO/SANTA ELENA – http://wp.me/p2orau-1g – A full course meal with an emphasis on getting there from the airport. CARIBBEAN ADVENTURE #1, CAYE CAULKER: HOW TO GET THERE, WHERE TO EAT, WHERE TO STAY, WHAT TO DO – http://wp.me/p2orau-25 Hope you enjoy eating it as much as I did preparing it! CARIBBEAN ADVENTURE #2, HOPKINS VILLAGE, HOW TO GET THERE, WHERE TO STAY, 2014 – http://wp.me/p2orau-2F Enjoy! HOPKINS VILLAGE, WHAT TO DO, WHERE TO EAT – http://wp.me/p2orau-lF Bon appetit! 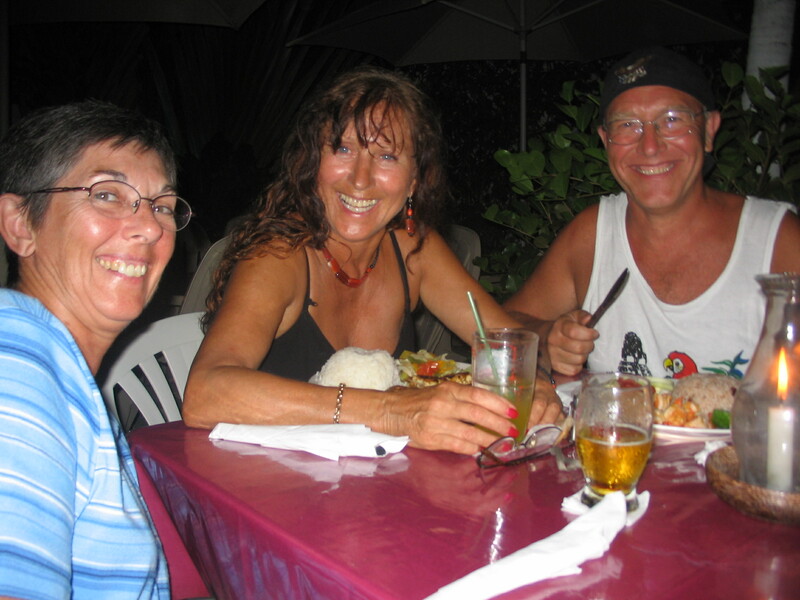 CARIBBEAN ADVENTURE #3, PLACENCIA VILLAGE, HOW TO GET THERE, WHERE TO STAY – http://wp.me/p2orau-3Z You’re going to like this sumptuous delight! PLACENCIA VILLAGE: WHAT TO DO, WHERE TO EAT – http://wp.me/p2orau-lP A Virtuoso dish designed to satisfy your craving for more information. AN IN-DEPTH, PERSONAL ACCOUNT OF MY 2013 ADVENTURE IN BELIZE. PART 1 OF – 6 – http://wp.me/p2orau-cb – This deep-dish feast is spiced and flavoured with every-day travel activities, pictures and reflections on life and travel. This entry was posted on Tuesday, November 10th, 2015 at 12:14 pm	and posted in adventure, Travel. You can follow any responses to this entry through the RSS 2.0 feed. Dear Brian, always fun to get your post, especially when we are in Belize. We are staying just north of Punta Gorda, and as you’ll know, it is still rainy season. Except for the difficulty drying laundry, the rain just adds interest! Hope you are both well. Best, Frances Giles. Dear Frances, Thanks for your response. My blog doesn’t do justice to the Punta Gordo area. We visited there on our first trip to Belize 14 years ago, stayed 8 days at TC By The Sea as you enter PG, had a good time but back then it was a very difficult ride and we never returned. Tell me exactly where you are. We have Mayan friends who are from just north of PG. If you are interested, write something for my blog that will explain that part of Belize that I have ignored. . I’ll give you full credit but that’s all I can give. My blog is a passion, not a pay cheque. Send your stuff to babineb@silomail.com. I’ll publish it as is or edited if you wish. We will be visiting soon, and will stay informed! Thanx for the updates !